How much you go for it with Rub Rub Rub is up to you. If you want a gentle scrub, use it under running water like other shower gels. If you like it rough, get a big handful straight from the pot, Rub Rub Rub it on a dry body, then into the shower. All that salt makes this perfect for washing hair and adding volume. It’s also great as a scrub for tired feet. Rub Rub Rub is packed full of mineral-rich sea salt and organic lemon juice. There’s a magic to its fragrance. Mimosa and orange flower absolutes leave a unique, subtle smell on the skin all day. As alluring on men as it is on women. If you really don’t know, then we suggest you find someone you really like and invite them into the shower with you to demonstrate. This was a product that I got given a sample one day when I was shopping in Lush and chatting to the lovely people who work in there. It is so nice to have people that want you to try their products not only in the store but they also are more than happy to give you samples so that you can use the product at home in the way you would rather than just washing your hands over a bowl of water in the shop. This is sold as a shower gel scrub and at one time was sold in the shower gel bottles but I think now this comes in the black tubs. The black tubs are of course fully recyclable and if you return five of these to Lush then you can choose one of their wonderful fresh face masks as a gift which means that each tub is worth just under £1 so hang on to them, wash them out and take them to your nearest Lush shop for you face mask. The product is a pale blue colour but this can vary a little depending on who has mixed the ingredients. I was given a sample pot about three weeks ago when I visited my favourite shop in Derby. If you buy a tub it costs £7.75 for 330g. I think the tub is a far better idea than the bottle as it is not really a consistency to squeeze out of the bottles it is more a scoop out from the tub mixture. It is a body scrub and can be used in the shower or if you are like me then you can wet yourself in the bath then rub yourself all over with this and give your body a good scrub before getting in the bath and rinsing it all off. I tend to stand up to rub it in the sit back down in the bath to rinse it off. It smells wonderfully lemony and the scrubby bits are sea salt. I did find that some of the salty bits were a bit big and harsh but I have been informed by the people in the Lush shop that they are working on fining these down a bit. Apart from the fresh lemon juice and lemon essential oil this scrub also contains Jasmine Flower Infusion, Mimosa Absolute ,Orange Flower Absolute and also Jasmine Absolute so the flowers scents combined with the lemon make for a flowery fresh sweet scent with a sharp citrus hit. The combination is just lovely fresh, yet flowery and sweet. The sea salt is not only gently exfoliating and cleans extra well but it is full of great minerals. I also find when I use any product with sea salt in it then my bath water becomes much softer so that soap and shampoo lathers well and the water feels really silky. Once I have scrubbed myself and then rinsed and dried off my body my skin feels so alive and clean. I do always moisturize after my shower or bath and the lotion sinks in easily leaving my skin soft and feeling well cared looked after. The scent is great for a morning shower or bath as it is so fresh and enlivening. According to Lush you can also use this as a shampoo. Unfortunately I have used all mine up so can't test this out. I should imagine it is pretty similar to "Big" their shampoo with grains of salt in it. Perhaps I should ask for another sample to try this out and update my review at a later date. I found that my small sample tub gave me two good body scrubs so you don't need massive amounts to get scrubbed. It does lather up more than some scrubs but less than most shower gels. WOULD YOU RECOMMEND OR BUY IT AGAIN? Yes wholeheartedly. I think this is a lovely fresh scrub with a very refreshing, awaking aroma. It is perfect for a morning bath or shower as the scent is so uplifting. The salt and lemon are so lovely on your skin, the salt scrubs and the lemon tightens the pores and really wakens your skin up. At the present time I have so many Lush and other product to use than it might be a while before I buy it again but I will certainly be doing so at some time in the future. This is a great scrub, it's name says it all, rub rub rub, not scrub scrub scrub! It isnt harsh, it covers the skin with amazing softness, but still getting rid of all the dead skin cells. It does lather the more you work with it, giving a overall exfoliation and wash. This is also fab for the feet, especially after a winter of being hidden in socks/boots.. Use this rub rub rub over you feet, let them rest in the lathered water if you soaking them, all the goodness helps to soften any dry/hard skin. Soon you will have lovely pins, according to the lovely manager of the Lush store i visited, this was her favourite way of using it. I must admit my skin does feel lovely this morning, and smells so fruity. Unlike other scrubs, my skin isn't red! As with other brands yu can sometimes have a fedding due to the roughness of the grains, but this is a lovely salt, smother than most. A fabulous scrub, for all areas. Smells like a fruity cocktail, ideal summer scent. NOt harsh, but efective. Smells great and gives you that deep scrub that I had been looking for for ages! I wanted to have a deep body scrub before my wedding but couldn't afford one (money spent on the wedding itself!) so I went on the search for a great deep cleansing scrub. I came back with this and it worked wonders! Left my skins feeling fresh and soft and the product smells great too! 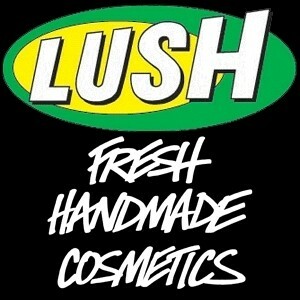 I usually don't go to Lush for products but will do if their others are up to this standard! I love this scrub and use it as an exfoliator while in the shower. i also use this on my hair and find it makes it feel thicker and healthier. "WHY DID YOU BUY THIS? This was a product that I got given a sample one day when I was shopping in Lush and chatting..."